Cause, importance and factors effecting the analytical balance drift used in weighing during pharmaceutical analysis. In the pharmaceutical industry and bioscience research field, many laboratories make use of analytical balances. 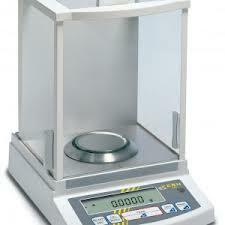 The analytical balances used in the bioscience research and pharmaceutical industry are very sensitive. These balances can be heavily affected by the way the measuring personnel handles them and by the environment in which they are installed. The environment in the pharmaceutical laboratory needs to be assessed by running assessment tests. Based on the results of these assessments should be proposed concrete measures for improving the lab environment. The weighing instruments in a pharmaceutical lab should always operate is quick and accurate. It should be avoided any events in the lab that would affect the analytical balance measurements results, such as opening and closing a breeze break door, for example. This is not an optimal way of conducting analytical balance weight measurements. When the breeze break door is open, the weighing area’s temperature will change because the air within the breeze break changes. Sometimes a phenomenon called “drift” is experienced in the weighing instruments, including high precision analytical balances. This undesired phenomenon consists in measurements changing in one direction or displays becoming unstable with the passage of time. Unstable readings may occur with no weight applied or the weight readings do not stabilize due to the analytical balance drift effect. This can be explained by the static electricity accumulated due to the dry environment and friction from the insulated material. The pharmaceutical production lines are having clean environments, controlled with 24-hour air conditioning. In such an area the humidity levels is often below 20 percent. By moving around objects in such a dry environment the friction causes building up of static electricity. Research has proved that people working in such a research lab or pharmaceutical production line can build up themselves around 10,000 volts of electricity. The effects of the static electricity become even greater under these circumstances and they can lead to errors of dozen milligrams. In order to avoid the static electricity build up and the apparition of the analytical balance drift effect, it would be necessary that the humidity level in the weighing instrument's installation environment to be increased over 40 percent. In case that the static electrical buildup occurs faster than the electrical discharge, it is necessary to conduct weighing operations only after removing electrical charges from the weighing sample and to introduce a static eliminator. It should be avoided the use of plastic containers for the weighed items and the operators of the analytical balances should always stay on an anti-static floor covering. Another environmental factor that can dramatically affect analytical balances stability is temperature. Temperature control is therefore imperative in avoiding the analytical balance drift phenomenon. This includes both the maintaining the constant temperature of the weighing instrument as well as controlling the room temperature. For the best temperature stability, the room should be constantly maintained whiting two temperature degrees variation, day and night. The weighing instrument should be always plugged in and turned on, in order to maintain its temperature constant as well. Generally, balances have an error of 2 ppm/°C.